The landslide victory of the Aam Aadmi Party (AAP) in Delhi elections was a sign of people’s disenchantment with the NDA government at the Centre, said activist Anna Hazare Tuesday. 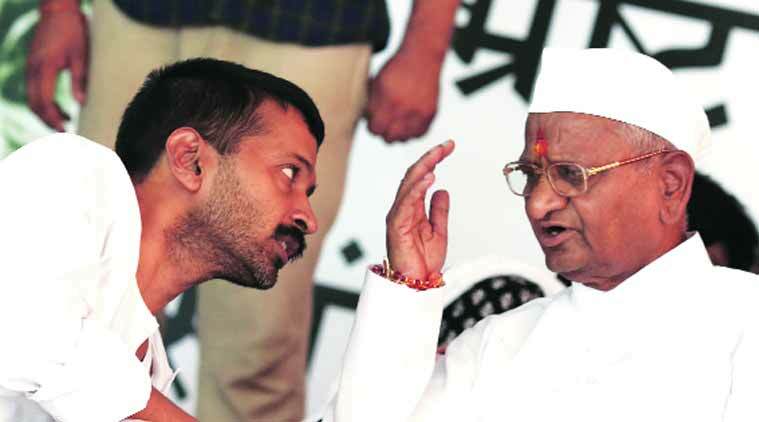 Hazare said he was not averse to meeting Kejriwal, but won’t attend the swearing-in ceremony. “Given the delicate condition of the country’s economy, it would be good if the ceremony is kept simple,” he said. While asking Kejriwal not to forget the path of andolan (agitation) Hazare said it should be the last resort for the government. “He is the chief minister and has the power to enact legislation and that should be the first method of solving issues. If that fails then agitation should be taken up,” he said. “Last time Arvind left the post of chief minister in 49 days which disappointed many people. However, he accepted his mistake and apologised many times. I think this time he will do his duty,” he added. Hazare dwelt at length on the failures of the NDA government and accused it of wavering from its promises. The recent land acquisition ordinance promulgated by the government attracted much opposition from Hazare. “It’s not healthy in a democracy that the government takes the course of ordinance on important issues. Matters have to be discussed in Parliament and then resolved by majority,” he said. He also blamed the government for not doing enough to fight corruption and on the issue of black money. Hazare pointed out that the new government had not done anything to appoint the Lokpal. “We were told the government would get back black money from foreign banks and Rs 15 lakh would be deposited in the accounts of every Indian. Nothing has happened,” he said. Hazare also signalled that the final dates for his agitation against the land acquisition Ordinance would be announced within the next 10 days. “We will hold the agitation either at Jantar Mantar or at Ramlila grounds,” he said. Asked if Kejriwal would be allowed to join the agitation, Hazare replied in the negative, citing the political “stamp” on his one-time confidant. Kejriwal had called up Hazare after his victory and the latter had conveyed his best wishes for the new government.